Bob and Carol Deutscher when they were buying land for Crow Mountain Orchard. 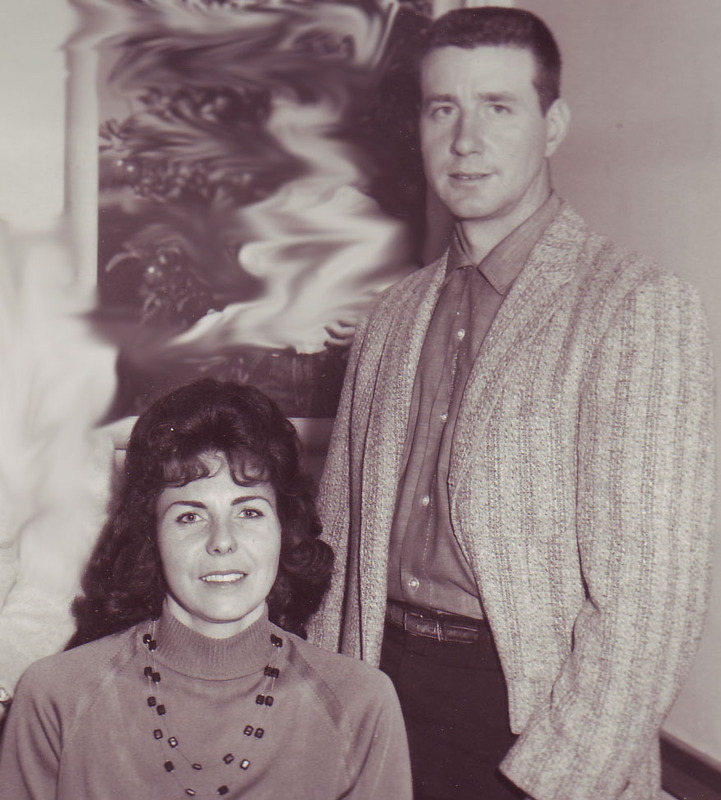 When Bob and Carol Deutscher came looking for land to plant an orchard in the early 1970’s, they never imagined it would develop into the thriving business it is today. Customers often drive many hours and come from many states to buy our fruit. We have about 150 acres of apples, peaches, nectarines, pears, berries, and cherries. We press our own fresh cider starting in September made with Bob’s secret recipe. 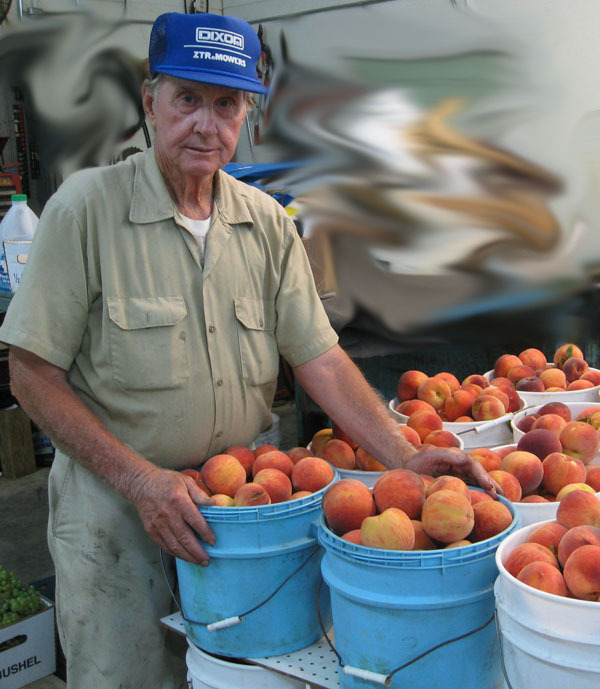 Bob still works 7 days a week all year to bring his customers the best fruit in the southeast. Come by our salesroom and say hello–he will be in the back packing and grading the fresh fruit. “Bob Deutscher was born and raised in northern Indiana and for years had a thriving fruit growing operation there. But there came a time, says Deutscher, when he had to pick the fruit before it ripened to turn a profit. ‘I started searching for some suitable land in the South where I could add another orchard to capture the early northern market,’ Deutscher says. Deutscher looked over many sites in several southern states before purchasing the 126-acre site on Crow Mountain which he has developed into the largest fruit growing operation in the state. Deutscher recalls he was walking around the property one day when he came to the highest elevation and thought, ‘My God, Bob, what more are you looking for,’ and decided then this site was it. The Crow Mountain site at its highest elevation is 1,720 feet, most suitable for growing fruit, according to Deutscher, because of the warm days and cool nights. When the Deutschers started their Crow Mountain operation in 1974, Bob had intentions of shipping his fruit out to capture the early northern wholesale market. ‘We were so far from everything, I never dreamed anyone would come out here to buy my fruit,’ says Deutscher, but much to his surprise the quality of his fruit has brought people their way and today most of his fruit is sold locally…. His trees stand straight in rows protected by the trellises which Powell says only five or six other growers use statewide… The trellis, a locust post placed between each tree and strung with three plastic coated wires supports the tree to prevent wind and the weight of the fruit from breaking the limbs…. Yes, JoAnne. These are the last varieties available. The Pink Lady is the last apple picked each year. Hi, I would like to know when your Blackberries will be ready? So excited of your Summer fruits. Thank you! Hi, Marty. I called Dad last night. He thinks that the blackberries will be ripe in a couple of weeks, about the same time as the cherries and blueberries. He said that they usually have blackberries for 4 to 6 weeks. I will post it on the website when they are ready to be picked. No, Joyce. The early summer fruit isn’t quite ripe yet. Dad estimates that it will be another 10 to 14 days when the cherries, blueberries, and blackberries get ripe. I will be sure to post a notice on the website when the orchard opens. when will Fuji’s be ready? Joyce, I am not sure, but we are hoping that they will be ready within a week. I will post it as soon as they are ready. I just found out about your orchard today. IM going to try to come this weekend but I have 2 quick questions. Will the pink ladies be ready? And is your fruit organic? Deanna. we expect the Pink Lady apples soon, but I can’t promise we will have them this weekend. No, our fruit is not organic. Is your apple cider pasteurized ? Our cider meets the government standards for pasteurization. Yes, our cider is pasteurized. Hi! I was wondering if any of your cherry varieties are the sour cherries? Sorry, Caitlin, but Dad only grows sweet eating cherries, not the sour ones. Carman, I don’t know. Dad hasn’t worked on the 2016 price list yet. In addition to the cost of labor and expenses, he will have to wait to determine the quantity and quality of fruit when it is closer to picking time. Yes, Jim, we grow Georgia Bell peaches and other white peaches that will get ripe during July. Laura, Dad uses the minimal amount of chemicals required to keep various pests, fungus, and diseases from destroying the fruit and trees. Do you know where I can find some crab apples. I am looking for the larger sweet/sour kind, like a mixture between a granny and fuji apple? Sorry, Shearon, we don’t know anyone who grows or sells crab apples. Do you still have you pick apples available? Sorry, Kathryn, but Crow Mountain Orchard does not provide pick-your-own apples.